University Libraries invites you to use a database we are trialling until December 4: Art & Architecture in Video. This database contains over 400 video documentaries about art and artists, including interviews with modern and contemporary artists, architects, and designers. 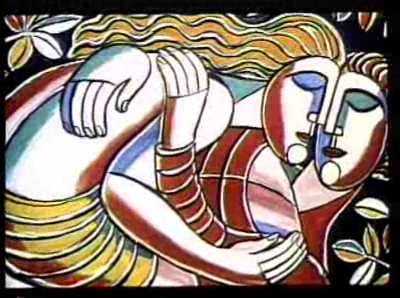 The still featured in this post is from the 1997 documentary Tibor Jankay: The Art of Survival. Let us know what you think! Contact Amy Fry at afry@bgsu.edu with your feedback. Thanks to Carol Singer, out librarian for government collections, for providing the information below! As part of the Affordable Care Act, a health care exchange will be available on October 1, 2013. This health care exchange allows U.S. citizens and legal residents to purchase the subsidized health insurance coverage they are required to have by January 1, 2014.
https://www.healthcare.gov/ Their YouTube channel http://www.youtube.com/user/HealthCareGov/videos also provides useful information. 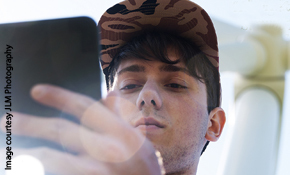 To get a list of local agencies that can help you find information about this mandated insurance and also help you apply for the insurance, go to https://localhelp.healthcare.gov/ and enter your zip code in the search box. Through October 11, BGSU has access to the spectacular Met Opera on Demand – streaming video of over 400 operas staged by the Metropolitan Opera of New York, including a number of HD operas originally shown in theaters as matinees. Try it and let us know what you think! Contact our Music Library with your feedback. 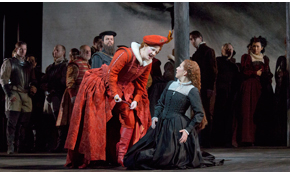 The scene pictured is from the 2013 release of Maria Stuarda. Did you know that you can borrow an iPad or a Kindle from Jerome Library? Our iPads circulate for a week, and they come preloaded with a variety of apps. You also have the option to connect the iPad to your own iTunes account and download apps. All of your personal information, including any apps, will be removed when the iPad is returned. You will probably need to join a waiting list to check out an iPad, but the wait is not usually longer than two weeks. It’s a great way to try out the technology if you’re not sure if you want one or you want to be familiar with how they work. Our Kindles are the basic model with the black and white E-Ink screen. Our Kindles are preloaded with over 130 titles, including 50 current titles for leisure reading. They check out for three weeks to allow you enough time to finish your book. Unlike the iPads, you are asked not to log into the Kindle with your personal Amazon account. There is sometimes a waiting list for a Kindle, but at other times you can check one out right away. Kindles and iPads can be checked out by BGSU students, faculty or staff. For more information, check out our Kindle LibGuide or our iPad LibGuide, or call the circulation desk at 419-372-2051. If you’ve ever tried browsing Jerome’s shelves in search of something fun to read, you might have concluded that we don’t have any popular fiction. While it’s true that most of our collection is devoted to academic and scholarly works, we also have lots of books that you might want to read for fun. But, because of the way the library is organized, it can be a challenge to find these books. The best way is to do your searching on the computer and only go to the shelf when you know which book you want. Here are some tips to make that easier. You can always ask for help! You can IM a librarian or come to the Research & Information desk on the first floor. We’re happy to help, even if your question isn’t school related. If you can tell us what genre you’re interested in or some other books you’ve read and liked, this helps narrow down the search. If you’re more of a do-it-yourself type, we have several different LibGuides to help you. Our guide to Leisure Reading has suggestions of fun reads available for checkout here at Jerome. There is also a guide to leisure reading in the Music Library if you’re interested in stories about music and musicians, and a guide to Adolescent Literature if you’re still a kid at heart. We also have Kindles you can check out for 3 weeks at a time. Each one is loaded with over 50 popular, contemporary fiction and non-fiction titles, so you should be able to browse through and find something that fits your taste. Still not sure what you want to read? 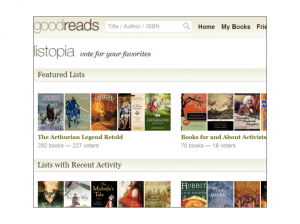 Browse around Goodreads for user-created lists of favorite books in a variety of genres, like “Best Teen Books About Real Problems,” “The Definition Of Urban Fiction,” or “Humorous Paranormal Books.” They also have summaries & reviews. This guide will help you find out whether we have a book once you know which book you’re looking for. If Jerome doesn’t have what you’re looking for, don’t forget about OhioLINK and SearchOhio, which is like OhioLINK for public libraries. (In addition to books, SearchOhio also has a wide selection of audiobooks and DVDs.) Books requested this way will be delivered to the circulation desk in 3 to 5 days.